It is not just a truck, it is family! Totally reliable, never had a problem. Chevy's have the best comfort of all vehicles. The instruments are easy to read and understand. I drive my vehicle everyday and love it. I would recommend a Chevy to all. My truck always gets comments on how beautiful it looks. Its quality from start to finish. It performs and never lets me down. Great truck, but very expensive. Hard to get to glow plugs and if they go out it is very expensive to replace. For 4 glow plugs it will cost me in excess of $700 after taxes. The truck's diesel regen feature is excessively frustrating due to it wasting precious fuel. 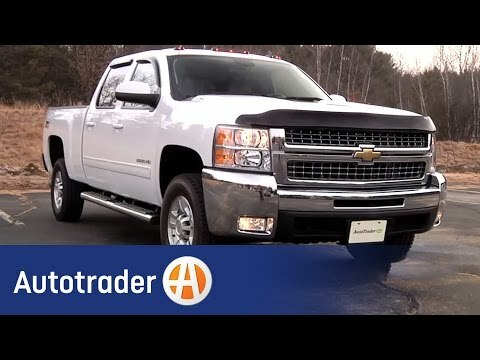 Overall, I really like the truck, but the features are easy to break and are insanely costly. This is a superb vehicle for anyone who needs a truck. A 4 wheel drive dependable diesel with turbo is an excellent safe and reliable daily driver. Leather seats and a crew cab provides spacious comfortable riding. A fold down DVD player in the back with Bose stereo provides entertainment. This truck is made for performance and durability.